gasketing Archives - Gallagher Fluid Seals, Inc.
Flange gasket storage is often an after-thought for many of our customers. While incorrect gasket installation procedures is the #1 culprit when it comes to gasket failure, gasket storage can play a large role in the quality of the gasket being installed. The following article first appeared in Pumps & Systems Magazine on December 14, 2017. Gasket materials are divided into three main categories: non-metallic, semi-metallic and metallic. Non-metallic gaskets, or soft gaskets, are fabricated from materials such as rubber, fiber, polytetrafluoroethylene (PTFE) and graphite. The material properties make them ideal for flat-faced applications with low pressures. Metallic gaskets are fabricated from one or a combination of metals. Semi-metallic gaskets are composed of metal and non-metallic materials. The metal is intended to offer strength and resilience while the non-metallic components provide conformability and sealabililty. 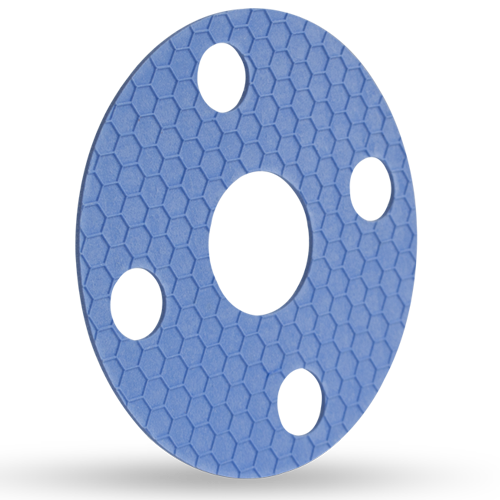 These types of gasket are used in higher-pressure applications. The most common semi-metallic gaskets are spiral wound gaskets. When sealing raised or flat face flanges, there are two choices of gasket shape: ring-type or full-face. Each has its own advantages, so you should know which will best suit your application before ordering and installing. First, let’s discuss the types of flanges in which gaskets are installed. Different types of flange faces are used as the contact surface to seat the sealing gasket materials. ASME B16.5 and B16.47 define various types of flange facings, including the raised face, the large male and female facings which have identical dimensions to provide a relatively large contact area.